Kurt Angle (born August 8, 1967) didn't watch much professional wrestling while he was growing up, however, he did know of the legendary Hulk Hogan. 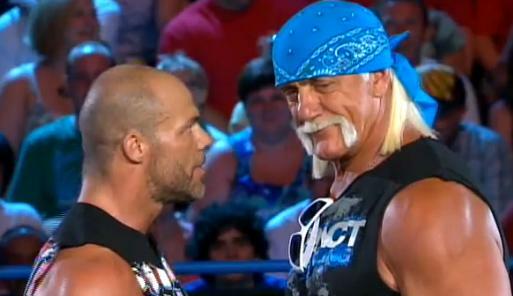 Angle had an opportunity to encounter Hogan in both WWE and Impact Wrestling. This post shows a few of their encounters including the classic 2002 match from SmackDown.